Skinny Jeans: 100th Day of Kindergarten! 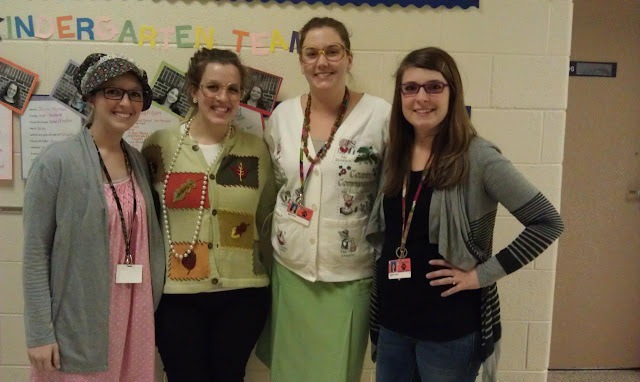 Jenna, Me, Sarah, Rachel - The Kindergarten Team! Today was the 100th day of Kindergarten! To celebrate, everyone dressed like they were 100 years old (we'll forgive Rachel for not dressing up). There were kids with curlers, robes, canes, suspenders, and baby powder in their hair - so cute. 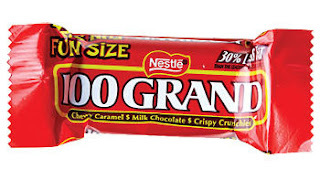 The kids got to write about what they would buy if they had $100. Some of the highlights were candy, a car, a farm, and a piggy bank (a future investor). It was a fun-filled day of counting to 100, dice games, writing their names 100 times (they just LOVED that one), and more. teachers and children dressed up for 100's day. I especially loved their stories about how they would spend $100!